Alexis has been progressing quickly with a 22-45, now she’s upgrading to a Volquartsen Scorpion, courtesy of the generous sponsor. 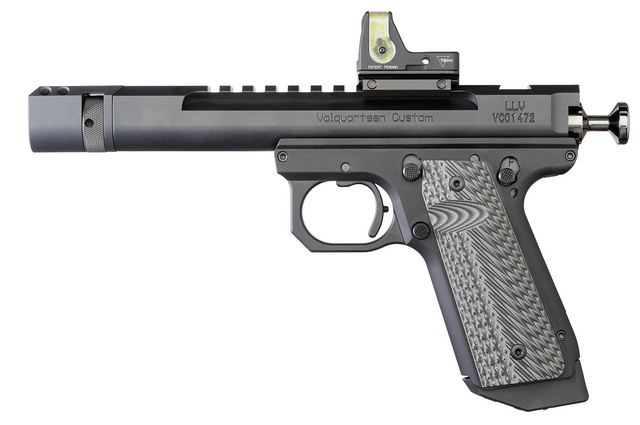 The RMR is a loaner, pending a more permanent solution. Extended, sprung floorplates are made by TK. She seems pleased with the situation. This girl continues to impress me with her ability and attitude. 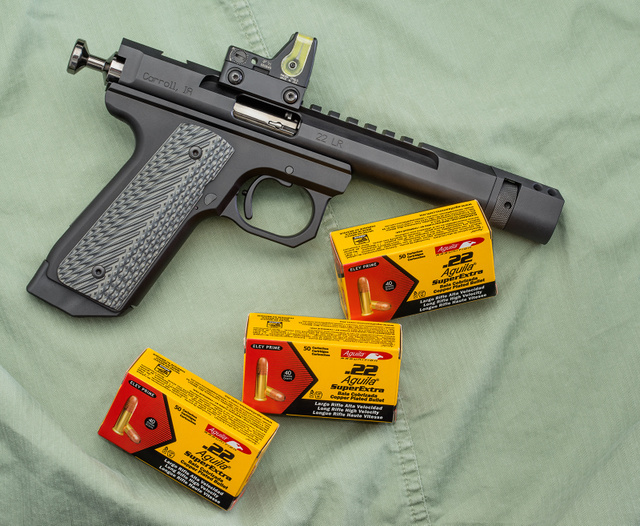 This entry was posted in pistol, training, weapon and tagged 22LR. Bookmark the permalink. 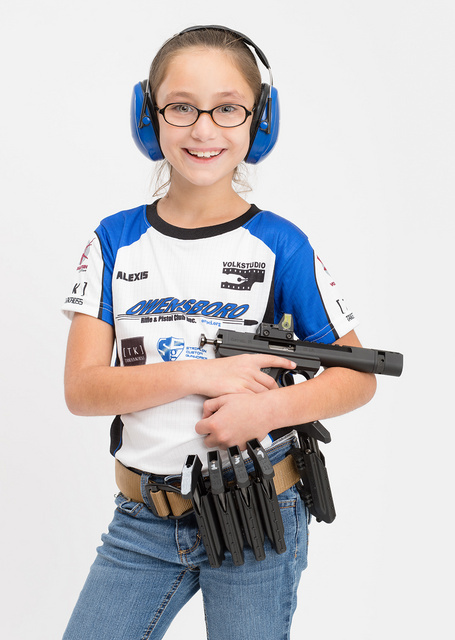 If I ‘self-identify’ as a 12 year old, excellent shot girl, can I score some nifty freebies too??? I am sure you could — after all, adult competitors attract sponsors as well. Alexis is only 8 but she creates quite a bit of promotional value for her sponsors already. Dear gods that’s a pretty gun. We are gearing up for the start of gallery bullseye season here in MA. 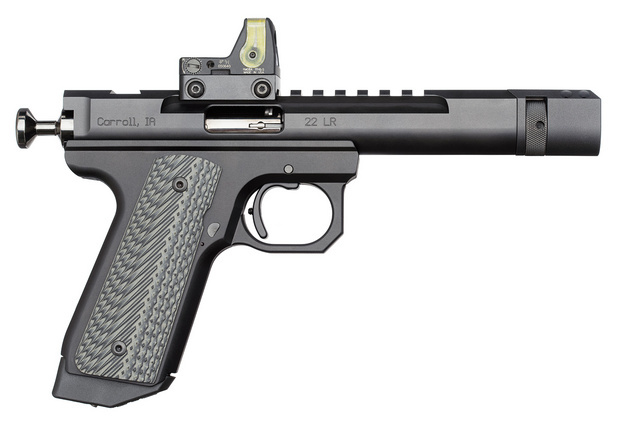 I will admit that after looking at my 22/45 and then at the Scorpion, I have some gun envy. I shot High Power Service Rifle at the Owensboro Rifle and Pistol Club when I was stationed at Fort Knox.